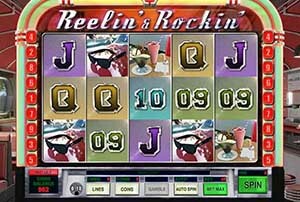 Reelin’ & Rockin’ :: Get ready to ‘rock around the clock’ and jive back to the 1950s in this classic American rock ‘n’ roll diner slot. Join Danny and Ruthie for a bite to eat at the diner, and then twist the night away before hitting the road to Vegas! Man what a blast! There is also a diner table themed gamble game which can help double or quadruple your wins. 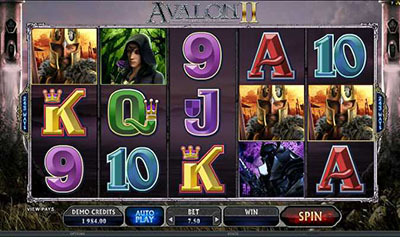 Other features include up to 15 Free spins with a 3X multiplier, Wild X2 multiplier, and players can win up to 50 000 coins and play up to 9 lines with 5 coins. 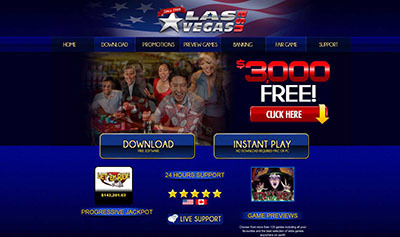 Reelin’ & Rockin’ :: You can try this NEW Slot game right now at the following casinos (US Players Welcome! ): Treasure Mile Casino, Lucky Creek Casino, Mandarin Palace Casino and Grand Eagle Casino.